This rich, luscious Classic White Layer Cake with White Chocolate Buttercream was Bill’s birthday cake selection this year. It’s the kind of cake where you slice off a sliver, then another and another. So hard to resist! A Swiss meringue buttercream is the icing on this cake so to speak! It’s been a favorite frosting for years, and definitely worth the bit of extra effort for special occasions. The white layer cake has been my go to non-chocolate layer cake, too. 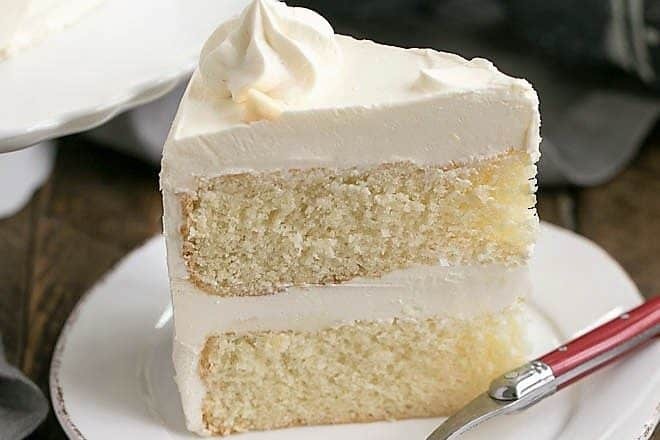 Made with egg whites, not yolks, it’s definitely a white cake! This is the sort of dessert that I slice off a sliver, trying to behave myself. But instead of being satisfied with a teeny slice, I go back again and again, eating more than if I had cut myself a reasonable portion. Thank goodness it’s baked in two 8-inch layer cake pans, so it can be polished off rather quickly! The white chocolate Swiss meringue buttercream has the most luxurious, silky smooth mouth feel that you can imagine. 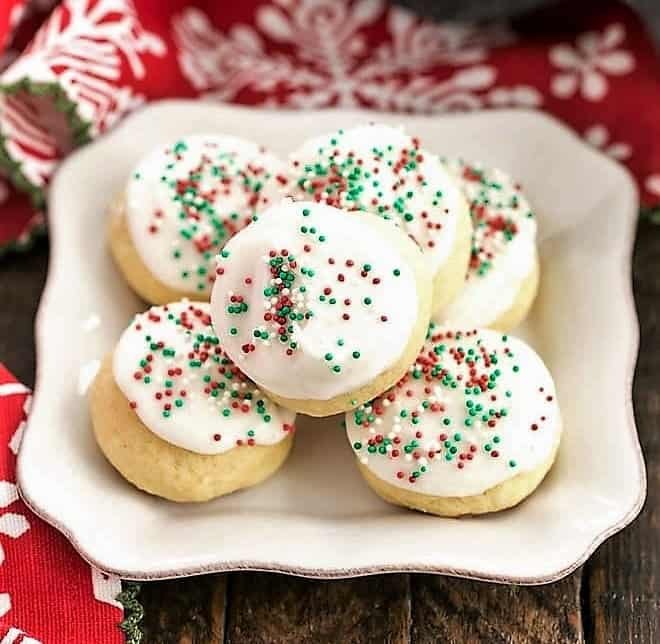 Made with egg whites, which are carefully warmed before being whipped with sugar, then made richer with butter and melted white chocolate, this buttercream is to die for. Unlike my other meringue recipes, the egg whites do not need to be at room temperature before whipping as they are warmed over a double boiler. But note that eggs separate easiest when cold, so separate the whites from the yolks when fresh out of the refrigerator. PRO-Tip: Avoid getting any egg yolk into your whites as that will inhibit them from whipping up properly. And your mixing bowl and beater should be grease free as well. If the equipment was washed in a dishwasher, it should be fine, but if you’ve hand washed, you might consider wiping all implements down with vinegar to eliminate any residue. You don’t need an official double boiler for this recipe. Just use a large pan that your mixing bowl can fit inside, then fill that with water about 1/3 the way up the bowl. When it’s time to add the butter, make sure it’s at room temperature. You’ll be adding to the mixer one tablespoon at a time, and it must be incorporated before you add more. So having it soft is ideal. Due to the eggs in the buttercream, this cake needs to be stored in the refrigerator. But my best white layer cake will taste best if it’s brought to room temperature before serving. 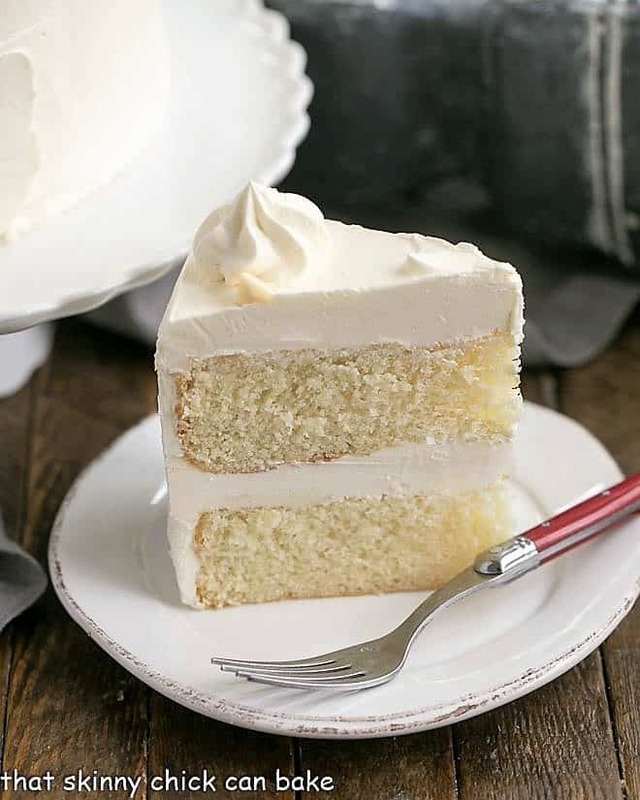 There are a few tips that will help make for a tender crumb, moist classic white layer cake. As always, read through the recipe before you begin and measure carefully. Not using egg yolks help this cake keep from being a yellow cake, but save those extra yolks to make pudding or creme brulee. 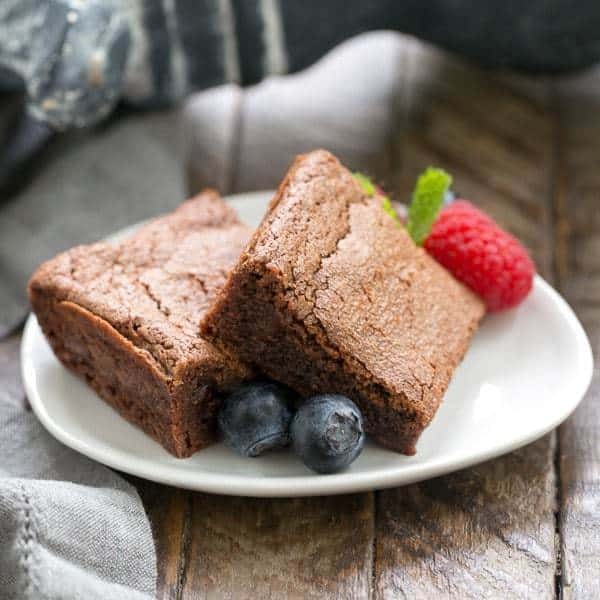 Cake flour has less gluten than all purpose flour and helps make for a more tender cake. PRO-Tip: If you’re in a pinch and don’t have cake flour on hand, you can make it at home with a couple kitchen staples. 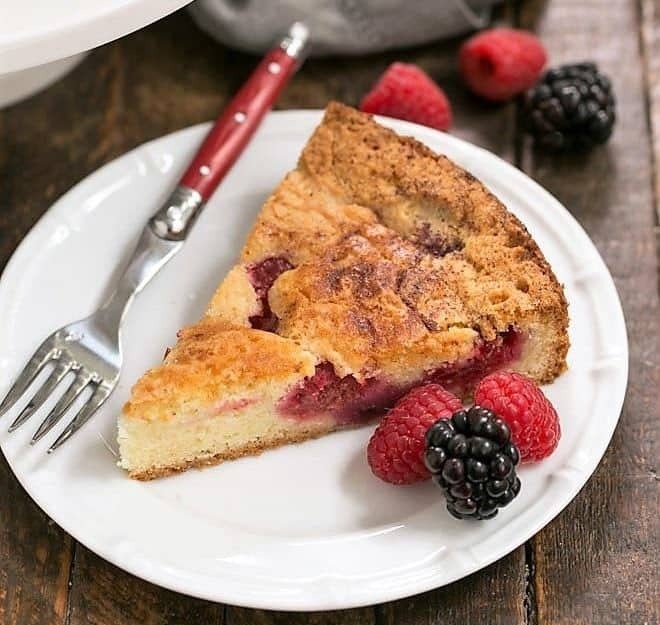 For each cup of cake flour, measure out a cup of all-purpose flour, then remove 2 tablespoons and replace that flour with 2 tablespoons of cornstarch. Scrape the bottom and sides of the mixing bowl frequently during the mixing process. 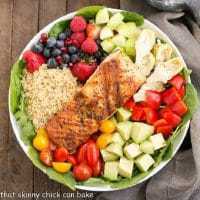 This will minimize the time you need to spend beating to get a smooth batter, and consequently, not activating the gluten any more than necessary. PRO-Tip: I like using a kitchen scale to make sure both layers have approximately the same amount of batter. You can certainly eyeball it pretty accurately. A sliced cake looks best when the layers are the same depth. Try to bake this white layer cake just until a toothpick inserted in the middle comes out clean. Over-baking will create a drier cake. All ovens bake differently, so the times listed are just a general guideline. If you’re a die hard chocoholic, this Chocolate Fudge Layer Cake is worth the effort! Though this Triple Layer Cocoa Cake is less work, it’s still one of my favorite chocolate cakes! 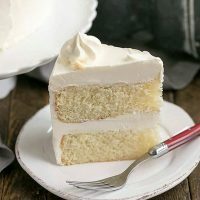 A Lemon Layer Cake will please the citrus lovers and a Classic Carrot Cake is always my first choice! 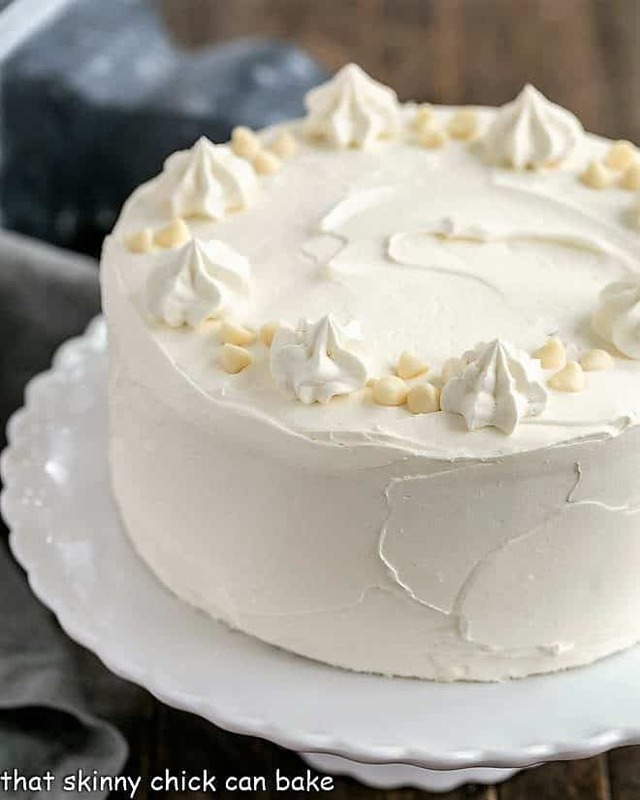 A tender white layer cake iced with an exquisite Swiss meringue buttercream! Heat oven to 350 degrees. Prepare two 8-inch cake pans by spraying with Baker’s Joy and lining with rounds of parchment. Make sure milk and eggs are room temperature. Pour milk, egg whites, and extracts into medium bowl and whisk to combine. Mix cake flour, sugar, baking powder, and salt in bowl of electric mixer at slow speed. Add butter, cut into small pieces and beat for a couple more minutes. Add half of the milk mixture to flour mixture and beat at medium speed for a couple minutes. Add remaining milk mixture and beat for about 1 minute. Pour batter evenly between two prepared cake pans. Bake until toothpick inserted in the center comes out clean, 27 to 30 minutes. Allow cake to cool to room temperature. Melt the white chocolate in a microwave safe bowl, gently in the microwave, using 15-30 second intervals, stirring until melted. Cool to room temperature. Combine the egg whites and sugar in bowl of mixer. Place bowl over pot of simmering water so that the water comes a third of the way up the bowl. Whisk the egg whites till just hot to the touch, about 1-2 minutes. Use mixer on high to whip the eggs until thick and cooled to room temperature, about 5 minutes. Turn mixer speed to medium and add butter by tablespoon, making sure butter is mixed in before adding the next tablespoon. Add the chocolate and vanilla and mix until smooth. If the icing is too runny, refrigerate briefly until it thickens. Cake adapted from Cook’s Illustrated and frosting adapted from Ghirardelli. You will have leftover buttercream. wow What a stunning layered cake! My husband is going to LOVE this one, esp. that white chocolate cream! Woah now this is a gorgeous show stopper. It really looks stunning and pretty for a wedding! 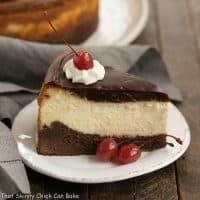 I love this classic layer cake and you just made it spectacular! This recipe is a success every time I’ve made it! Thank you for the well written and delicious post! This cake looks so amazing! The layers are perfection and I can’t wait to try it! Truth: if you gave my husband and I 100 flavors of frosted cake to choose from, we’ll always choose the white cake with white frosting. So, of course, my mouth is watering imagining a half dozen ‘slivers’ of this perfect cake! 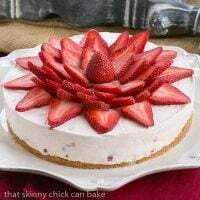 its really Classic, White chocolate butter cream is my favorite, will definitely try this, thanks for sharing. So gorgeous, love your layers! what a classic beauty of a cake – I love the picture perfect white layers and the gorgeous, flawless white Swiss meringue frosting! I would love this cake for my birthday too!!! Liz, you explain this recipe so beautifully that it makes me think I can pull it off!! This is gorgeous! I’ve never made a Swiss meringue frosting so I appreciate all the tips…the cake is beautiful.